As regular readers know, we’ve previously advanced the theory that George R.R. Martin, author of the popular A Song of Ice and Fire fantasy novels, hasn’t produced a new entry in his best-selling series in five years because he has no pages. (To put things into perspective, Martin has published one unfinished ASOIAF book, spread across two volumes, in the last 16 years.) Martin having no pages—aside, perhaps, from some left over from that unfinished book—would explain why he hasn’t published any in recent years. 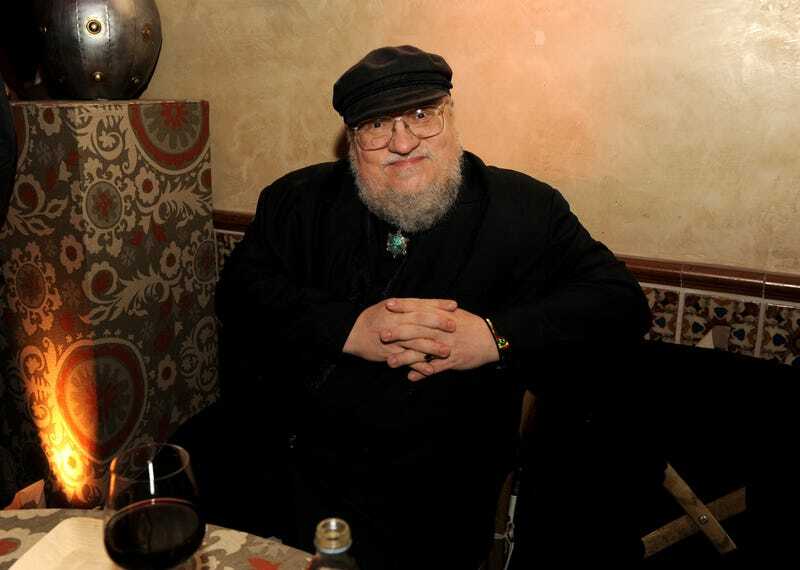 The last good information we had about the progress Martin is making on his next book, The Winds of Winter, came in early January, when he wrote a blog post in which he said he had no idea when the book will be done but claimed that he does have pages. With the popular HBO fantasy drama Game of Thrones, based on Martin’s novels, set to begin its latest season on Sunday, I emailed Martin yesterday to ask if he has any pages; he emailed back to assert that he does. Our exchange is below. Subject: Do you have any pages yet? Trying to settle a bet with my friend Kyle at ESPN. We can probably get you inside Jets/Giants info. Subject: Re: Do you have any pages yet? Of course I have pages. I had pages five years ago. How anyone can believe I don’t defies belief. I’ve posted three different sample chapters on my website over the past few years, and read another four or five chapters at cons. Subject: Re: Re: Do you have any pages yet? One can certainly parse this response; while Martin claims he has pages, he doesn’t say he has new pages, or many pages. The Winds of Winter is expected to come in at about 1500 pages in manuscript; his latest update says he has “hundreds” of pages. Does this mean 200, or 300, or more? Are these pages mainly just the ones he’s already published on his website and read at science-fiction conventions? When were these pages written? Does he have pages now that he didn’t five years ago? I didn’t especially want to press these points, as I want to read new pages and don’t want him stressed out over people emailing to ask after them. Still, the theory that he has no pages clearly remains viable.